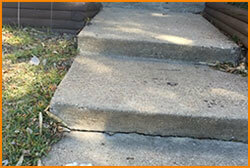 HD Offers Concrete Repair In Irving, TX. Contractors Stop Cracks. Avoid Costly Problems. 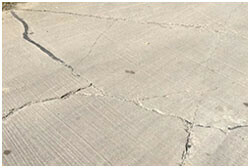 For concrete repair in Irving, TX, contact the concrete contractors at HD. We end cracking and offer solutions to all kinds of concrete issues. We provide no-cost estimates, too. If your Irving property needs service, we’ll tell you all about our concrete repair company. At HD, we pave, resurface and pour new concrete at affordable prices. When it comes to fixing property, it pays to hire a top-notch concrete contractor and learn about the causes of concrete cracks. Fact is, weather causes fracturing in concrete. Because temperatures in the DFW area range from 20 – 105 degrees, concrete surfaces expand and contract. That’s why you need a qualified contractor like HD. We’re known for being Irving concrete contractors that offer residential, commercial and apartment service. We have an A+ Better Business Bureau rating. If you need repairs made on walkways, stairways, patios, retaining walls or any other cracked concrete surfaces, study up on what concrete repair costs. You’ll find that the fees for having concrete fixed depends upon a number of different things including how much breaking has occurred. When moisture seeps into concrete cracks, it weakens your structure and causes concrete damage. As many Irving property owners with concrete problems know, it pays to fix them. Concrete has been in existence since 300 AD and is the most widely used material manufactured by man. With over 229,000 individuals residing in Irving, property owners often request free concrete repair estimates and evaluations. Concrete in available in different strengths and the type selected is based upon its applications. At HD, we’re generally make repairs to all sorts of surfaces using a mix with a 3,000-5,5,00 psi. When pouring new concrete surfaces such as driveways, concrete must cured. This process takes approximately four weeks (although you can drive on it in 5-7 days), by which time concrete has achieved over 90% of its strength. Because concrete is heavy-duty, Irving earthquakes have not caused problems that require making repairs to concrete surfaces. Reports indicate that the earthquakes that occurred in the DFW area in 2014-2015 have not seriously affected property owners in North Texas. Since concrete is reinforced, which increases its compressive strength by about 15%, it’s very strong. The best time to have your Irving property fixed is when you first notice significant fractures in your concrete surfaces or see gaps. If you study problems with concrete, you’ll note that they generally occur in the summertime, when it’s over 90-100 degrees outside. That’s because heat makes the soil around concrete contract and shrink. Learn about commercial and residential concrete repair and find out when to have it, especially if you live in this area, where the soils can be well over 20′ deep. It’s wise to stop fractures and minimize costs in the future. When you need concrete contractors that service the Irving area and stop concrete damage, let HD help. Contact us to schedule a free evaluation online today.